FGBYO will hold our annual Midsummer Madness Music Camp for two weeks this summer, July 9-13 and 16-20. During the camp, attendees will be instructed in a wide variety of music experiences, across many instruments and styles. Our instructors and staff will make sure your student has a week to remember! Across concert string instruments, guitar, piano, woodwinds, and theory, students were given a richer understanding of music. With classes designed to challenge all levels of musicianship, all students expanded their abilities and horizons during Midsummer Music Madness! 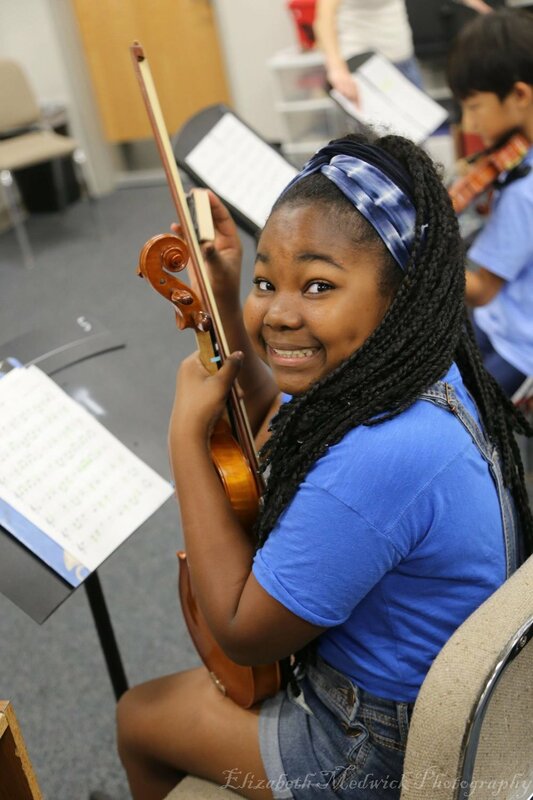 By offering classes in so many different instruments and multiple different styles, almost all students are exposed to at least a few new instruments over the two weeks. Some are complete beginners, with little musical experiences. Even the more advanced students are offered opportunities for beginner instruction with guitar, piano, and string instruments. Over lunch break, gaps between classes, and even while learning music, our students are always having fun and playing games. By offering a welcoming and light-hearted environment, we ensure that attendees will not only learn, but have a great time while doing it!